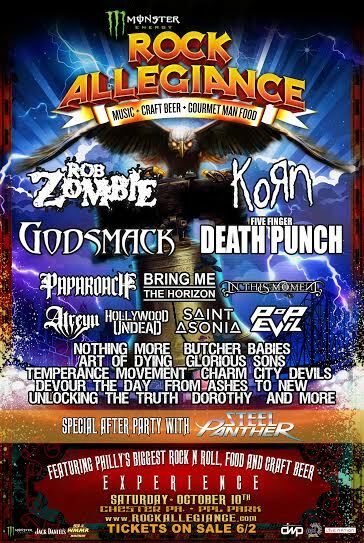 On Saturday, October 10th, Monster Energy Rock Allegiance festival returns and will be held at Philadelphia's PPL Park! 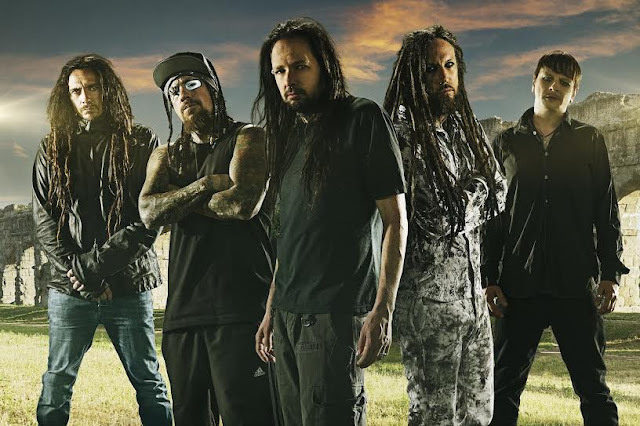 I hope you're ready to rock because this tour will feature top rock bands such as Korn, Rob Zombie, Papa Roach, and Butcher Babies. 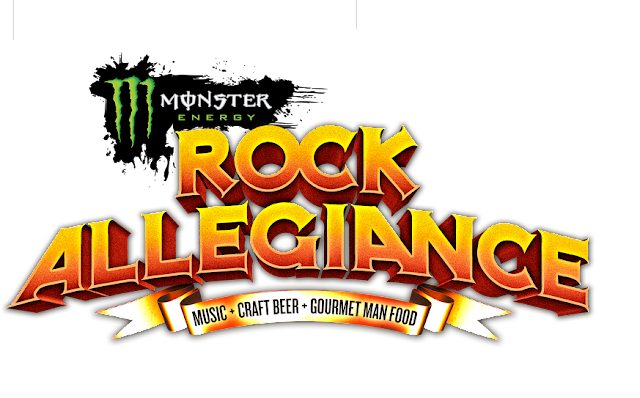 For the ideal rock/Philly experience, Rock Allegiance offers craft beers and something they like to call "Gourmet Man Food". Now, what exactly is "Gourmet Man Food"? It's a unique twist to foods you know, mixed with flavors you wouldn't expect. Oh, and they come in giant portions. But enough about the food, let's get back to the music. Monster Energy Rock Allegiance will include 12 hours of non-stop entertainment with performances from some of the best rock bands in the world who will be rotating on three different stages. Now what else screams "ultimate rock experience" other than an official Steel Panther After Party?! 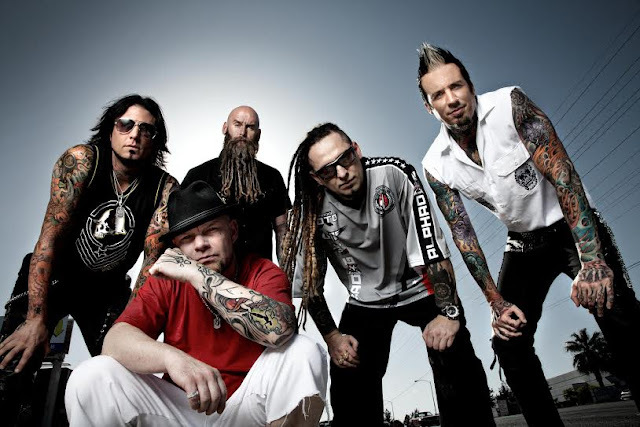 That's exactly what Rock Allegiance has in store for you! 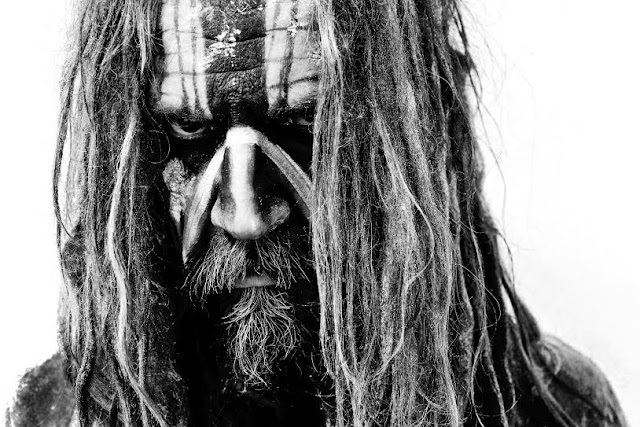 Right after Rob Zombie's closing set, the after party will take place at the Tent Stage right on the Rock Allegiance grounds, that's even if you're still alive and functional after all the head banging and moshing you just did for 12 hours straight. This festival is a celebration of everything rock as well as a celebration of Philly's unique culture by offering their popular craft beers and their famous and unique cuisines. 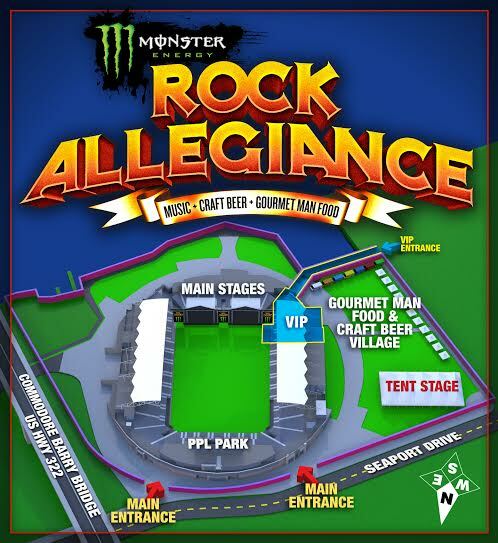 Monster Energy Rock Allegiance is produced by Danny Wimmer Presnets, Global Spectrum at PPL Park, and Live Nation. DWP is known for producing some of the biggest rock festivals in America including Rock On The Range, Monster Energy Aftershock, and Louder Than Life. So, who's ready to take on the ULTIMATE rock and Philly experience?! Im not really into Rock but music festivals are so fun! They are such a great way to spend the day! inot so much now.into rock when i was younger, but not so much now. sounds like a pretty great experience though!